Kalman Filter is an optimal estimation algorithm to estimate the variable which can be measured indirectly and to find the best estimate of states by combining measurement from various sensors in the presence of noise. Kalman filter is named after Rudolf E. Kálmán, one of the primary developers of its theory. 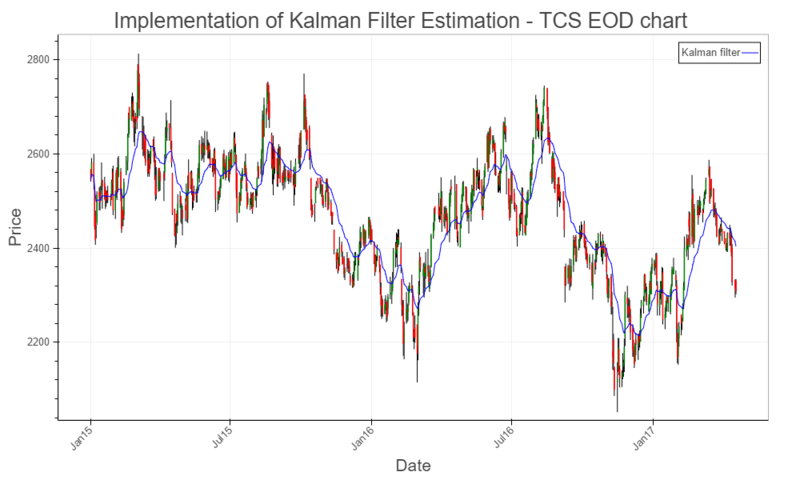 Kalman filter has wide range of applications from aerospace Navigation, Robotics, Trajectory Optimization, Control Systems , Signal Processing, time series analysis and econometrics. Infact the very first application of kalman filter was made at NASA AMES center in the early 1960s during the feasibility study of circumlinear navigation control of the apollo space capsule. Kalman Filters is ideal for systems which are continuously changing and well suited for building real time systems as kalman filter is a dynamic linear model, that is able to adapt to an ever changing environment. The major advantage of Kalman Filter is that it is predictive , adaptive as well and and it is really fast as it doesn’t tracks the historical data but rather the previous state. In the next tutorial we will be discussing more interesting statistical model and how to implement the same in python. Just one question & one request. Can we use this as a Buy or Sell Signal? If yes, then can you guide me how to backtest this in python? I have a very basic knowledge, if you can point some articles or tutorials, I will be good to go.